Extreme heat is no match for this tank top. 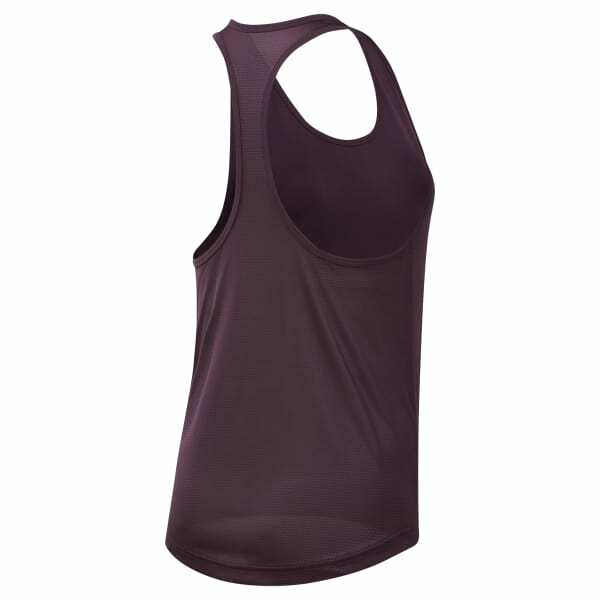 A mesh back allows ventilation while Speedwick technology manages sweat. Binding at the neck and armholes reduces rub while you move and stretch. An extra-long body length, shaped hem, and a slim fit create an athletic look to match your high-intensity workouts.